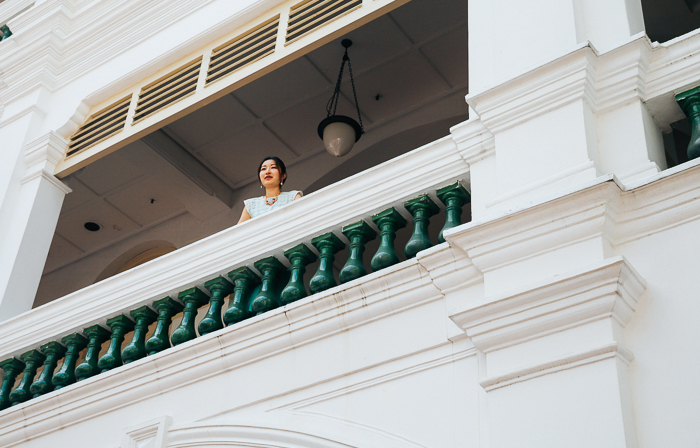 Raffles Hotel has always traditional been one of my favourite hotels in Singapore, mainly because of its beautiful colonial architecture, marble floors, open-air courtyard, murals and hanging chandeliers. 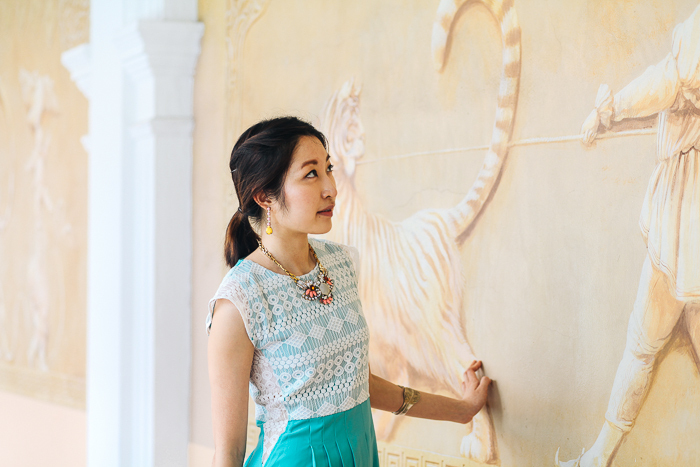 Not to mention that it's home to some of my favourite independent clothing boutiques in Singapore, such as Front Row, Surrender and home and lifestyle store Supplies & Co. 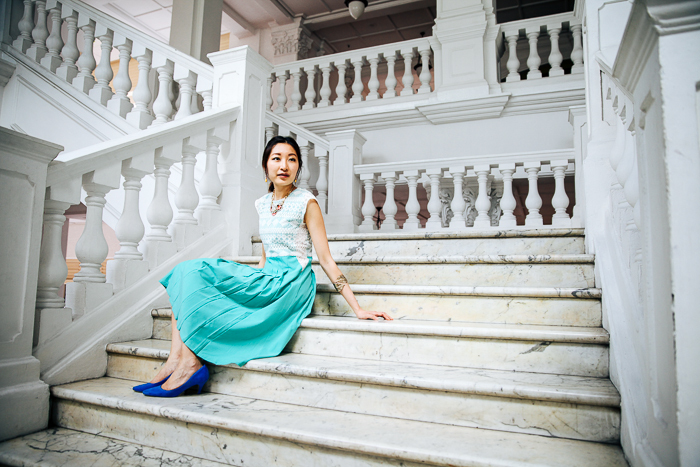 I took the chance to shoot this elegant, ladylike dress from Lauren Jasmine in Raffles Hotel as I felt that it complemented the style of architecture rather well. 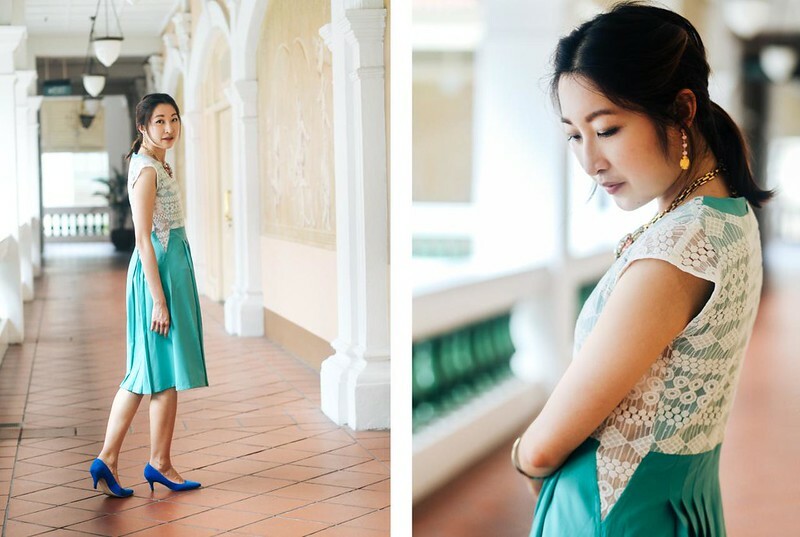 I really like the subtle showing of skin from the two lace panels of the dress and the wide pleats running down, making this a perfect dress for meeting the parents, or attending an elegant function. That aside, these few days Singapore has seen a drought with all the grasses turning brown and plants all struggling to stay upright. Today's rain finally put an end to it all - I'm still pinning for London's cooler weather despite the frequent drizzles and dark glommy clouds. Still missing so much of everything from London, I guess a part of myself will always stay there.